Valence up the ante with Cognitive Dissidence, further exploring corners of their sci-fi themed mix of instrumental prog. 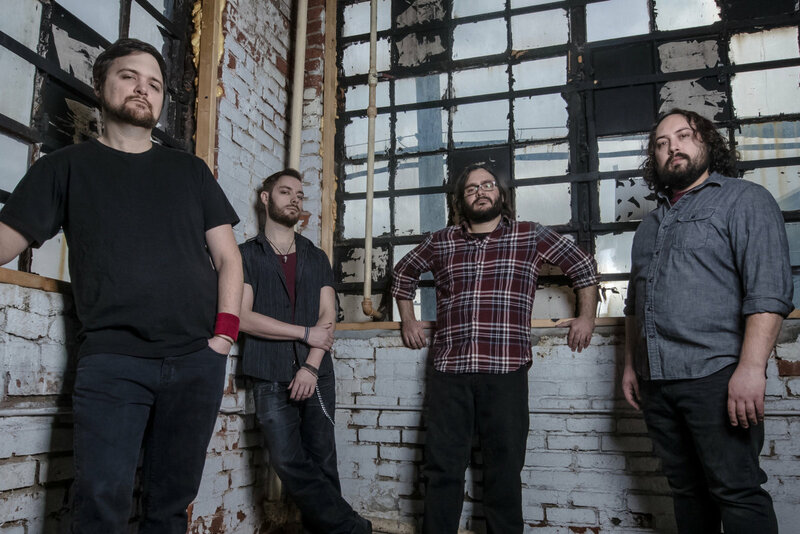 Valence are an instrumental progressive metal band from New York. They have been playing for the past seven years and they will soon bring to the world their third overall release and second full-length album. While their early work isn’t necessarily awe-inspiring, it is observable that there is an attempt at doing this instrumental prog affair in a way that isn’t generic. Cognitive Dissidence showcases the evolution of the band members as performers and composers as well. These things will be shortly revealed in more detail. Cognitive Dissidence runs for roughly fifty minutes, so there’s a fair amount of tunes to dig into. The record is split into seven tracks and I must say it could’ve been just a one-track album. It feels as if there isn’t a need for this kind of separation. Everything flows nicely across the album, there’s plenty of momentum gathered across the opener, third, fifth and last track which is balanced with the transitional second, fourth and part of the sixth track. But that’s just me. “Damnit, Lana!” quite aptly puts the listener straight into what the record is really all about. There’s a lot of engaging things happening; groovy riffs, lots of odd meters and time signature changes, sweet leads, solid drumming, the whole shebang really. I love the wah on the bass which is strongly reminiscent of the opening track on The Aristocrats’ self-titled debut. I’m also digging the recurring lick in the lead section which hearkens back vividly to how leads are being done on The Aura by Beyond Creation. “Prelude : Parlance of Our Time” merely acts as a bridge that leads the listener out of the opening track into “I. If You’re Not Into The Whole Brevity Thing” where one can get a heavy Scale The Summit vibe. “II. Calmer Than You Are” reiterates some of the already explored tunes while developing the action and driving us forward to “III. Preferred Nomenclature” which concludes this three-song combo. There’s a resounding brightness that permeates the music along with the chunky riffage and it manages to not become cheesy – kudos for that. “Walrus” and “Red Sky at Morning” are the real stars of the album though. Together they make up for basically half of the album’s run time and all of its charm really. “Walrus” showcases a lot of sweet groove and very entertaining dynamics. The eclectic feeling of the instrumentation is well constructed and it prepares the listener for the mammoth closing song. “Red Sky at Morning” would deserve to be the sole focus of the review just for how all of the emotional impact of the album waits until here to fully bloom. However, I’ll simply refrain by stating that it not only concludes the record perfectly, but it is easily the best song Valence have made so far. Technical prowess seems to be the name of the game for these guys as they’re pulling off a lot of intricacies without making it sound tiring and do so with great finesse; whereas the previous albums featured a lot simpler structures and phrasings. Production value also took a turn for the better. The tones of the instruments are richer and more varied. Fidelity also gets a good boost. The staging of the instruments is also much better, offering a nice feeling of space around them. There really isn’t anything else to underline in regard to these aspects. It’s all solid craftsmanship. Valence have made a well-rounded album right here. It effectively builds a trip which pops graciously and energetically right at the end, like any good trip should. Considering that Cognitive Dissidence is just their second album, I must say a lot of progress has been made since the beginning. If Valence keep it up like this, I’m sure we’ll be seeing much better albums, and more tours alongside bigger names as well. Previous PostNNRA Breathe Life into Post-Metal with "Incarne"
Next PostLucy In Blue - "In Flight"